This season there’s been chatter about players “owning their swing.” In Lorne Rubenstein’s excellent new book about Canada’s Moe Norman, Moe & Me, the author quotes Tiger Woods as saying, “Only two players have ever truly owned their swings: Moe Norman and Ben Hogan.” The more I thought about this observation, which is largely true, I found other examples. Surely, Jim Furyk owns his swing despite its confounding loop and so does Masters champion Bubba Watson who prides himself on never having taken formal golf instruction. In an era of over-glorified swing doctors, psychologists, trainers, and nutritionists, it’s refreshing to see such players trusting themselves and their innate talents. 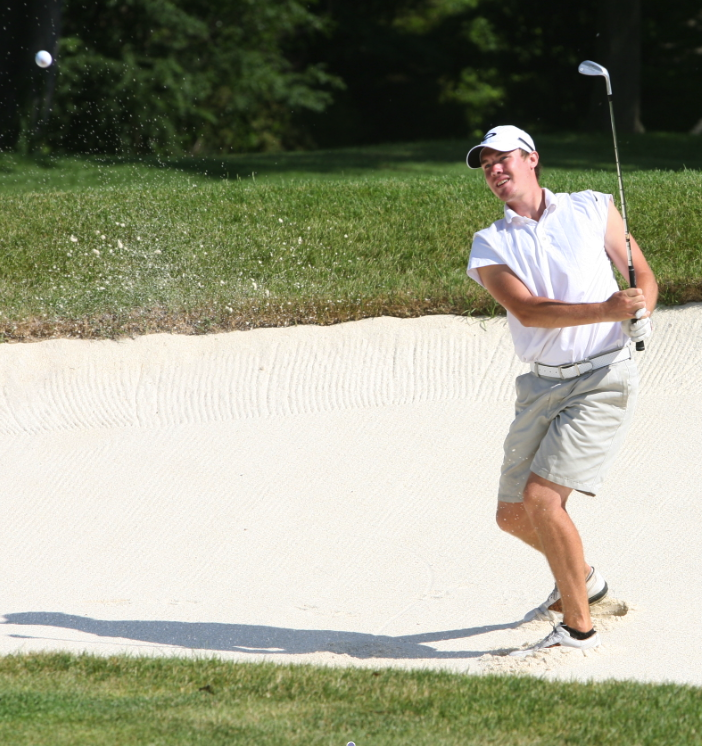 On the state golf scene, a similar example is Drew Preston, the recent Michigan Amateur champion. I’ve followed Preston since he competed at Forest Hills Central High School and later at various Grand Rapids-area tournaments. Unlike most of his contemporaries, Preston’s swing is short and quite fast. It reminds me of a combination of Dana Quigley and Doug Sanders, Tour players known for abbreviated but powerful backswings. In local circles during the late ‘60s and early ‘70s, celebrated junior player and later Michigan State golfer John VanderMeiden, of Grand Haven, was known for his short but repeatable backswing. Preston didn’t pick up the game until his parents gave him a set of junior clubs at age ten. Before then, he was an avid hockey player. Not members at any private club, his parents had a cottage in north Muskegon where Preston played his summer golf. “I didn’t play my first junior tourney until I was 13 or 14 when I started breaking 80,” said Preston. In the final match, Preston bested fellow Grand Rapids golfer and the 2009 Amateur Champion Tom Werkmeister, 2 up. “Tom is such a solid player and competitor; I knew it would be close.” A key shot occurred on the 18th hole when Preston’s drive found the hillside in the left rough. “I had 104 yards to the hole and 91 yards to just carry the bunker,” recalled Preston.” I decided to go with a 60 degree wedge, put it in the back of my stance and just hit it hard. Fortunately, it came out perfectly to within 15 feet.” From there and after Werkmeister made par from the bunker, Preston claimed the title by rolling in his birdie. In terms of the rest of the summer, Preston will try to qualify for his third U.S. Amateur at Muskegon CC on July 30 while also competing as an exempt player in the GAM Championship at Point O’Woods in August. In the interim, he’s taking 12 credits both this summer and fall at Bowling Green in order to finish up his Business degree in December. Even a successful self-taught golfer and now Michigan Amateur champion knows the future is brighter with an old-fashioned diploma.